This book is so odd… I love it. These past two issues have definitely been interesting but this issue is so special and weird and awesome. I'm having such a strange reaction to this book. I attribute this to the stellar, gorgeous, and perfect Kelley Jones art. Jones is a master of shadow, storytelling, and character acting. Everything is always dialed up to the extreme, and a large part of why I love it is the throwback, 90s feel of the story. Jones' Batman is unlike anything I've ever seen, mostly since I haven't been reading for that long since I'm on the younger side. His Batman has a presence and a wispiness, a phantomness, that I really admired. 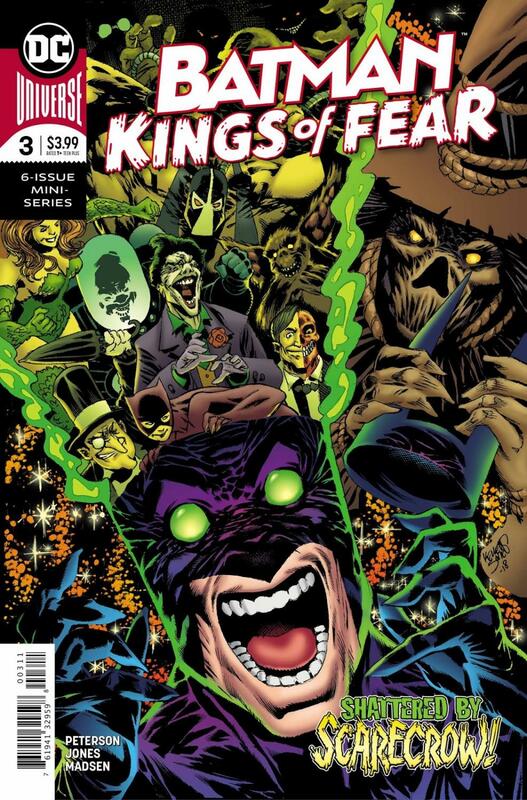 Scott Peterson injects a great amount of levity into this story, which other than the art, sets it apart from any other Batman book currently being published. There's a simple and fun dynamic between Batman and Scarecrow that I can honestly say I've never seen before, and Scarecrow's overall attitude and demeanor was actually very funny. This is such a light-hearted story despite some of the darkness lurking beneath. I really don't have much to say about this issue other than it's fabulous and I loved it. It's so weird and different that I don't know if a general reader would enjoy this, but it tickled all my spots and gave me what I wanted from just a story I want to read. Kelley Jones is a mastermind.